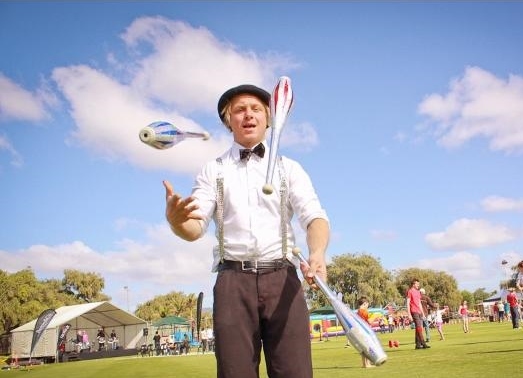 Aidan Bayliss is a highly skilled and experienced performing artist, specializing in circus and also working in Theatre. Starting his physical theatre training at “Annie Stainers School of Physical Theatre” in Mosman Park, Western Australia – from there Aidan went on to train, perform and then later teach with Circus WA located in Fremantle Western Australia! Juggling, comedy, hand stands, and balance acts are his specialties, although there is a long list of skills that he trains and teaches. 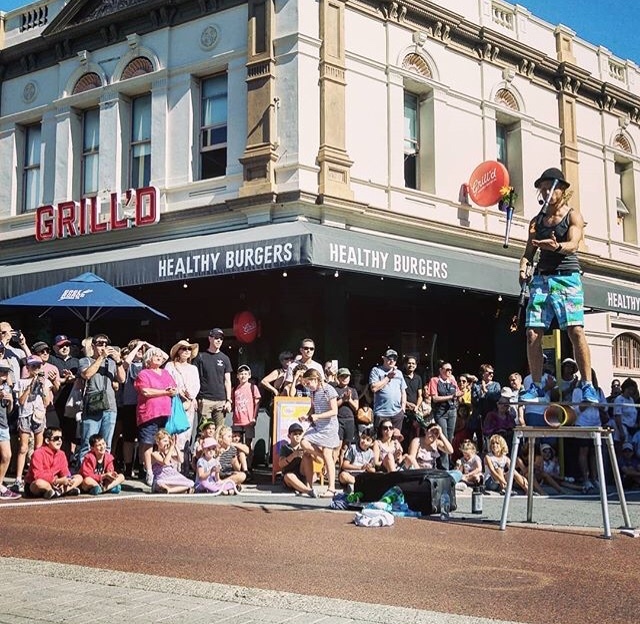 After two tours of the United Kingdom and training and performing overseas and interstate, Aidan performs street theatre very frequently in the cities of Fremantle and Perth. However, his range of performances doesn’t stop at the street often taking his solo shows to the stage for corporate, festival and cabaret entertainment.. Growing up on the coast 30 kilometres south of Perth Aidan was very lucky to live 200 metres from the ocean. Boating, surfing, fishing and swimming were usually on the daily routine for him, its very exciting to now combine the love of the ocean with the love of circus in his brand new show “The Street Surfer”.